Back in the day, the idea of the internet was the possibility to enjoy unrestricted access without any additional problem. However, nowadays, due to piracy and cybercrime, most people decide to choose a virtual private network (VPN) with the idea to add an extra touch to security. At the same time, most of them have one significant problem, and that is a slight speed loss when compared with before. Therefore, you have to understand that VPN is not working at maximum speed, and you will be able to fix it, but it is essential to consider various perspectives. It is vital to have outstanding VPN performance, which is why we decided to present your reasons why you have a slower connection than before. The question is what you should do to increase its production and speed without affecting your security. If you want a particular answer on this question, it is essential to start from the very beginning and to understand how virtual private network functions. 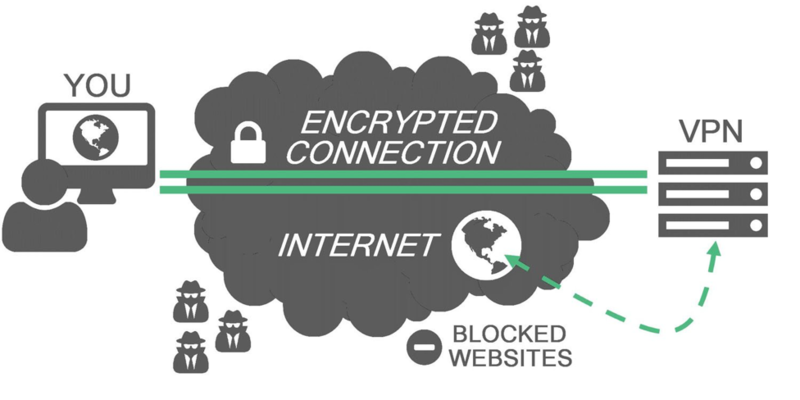 As soon as you decide to connect to VPN, it will create an encrypted connection between your server in a location that you are choosing and your device. Imagine that you are a journalist that features sensitive information in Iran, and your idea is to send it to colleagues in the USA. You should find a way to avoid exposing sources and protecting data so that you can connect to VPN from the USA. If you want to learn more information on virtual private networks, we recommend you to click here. From that particular moment, VPN software will mask your existing IP address and change it, so that all communications could be rerouted from the USA through the encrypted virtual tunnel. If someone wants to check your device, they will see him or her as if the connection is coming from the USA, which means that they will not be able to look at your data or identity. This particular setup will allow you to get around geo-restrictions and content censorship. When you decide to connect to remove VPN servers in various countries, you will be able to choose the access from other parts in the world so that you can mask your appearance and protect both yourself and data that you contain. However, since you will not have a direct connection as before, the main disadvantage is that you will notice a slower connection when using it. It depends on various factors such as security protocol, chosen a server and the type of encryption that you are using to protect yourself. Still, there are ways to make your virtual private network faster than before. Check this link: https://www.wikihow.com/Trace-an-IP-Address so that you can learn how to change your IP address with ease. How to Make Your VPN Faster? Check The Internet Speed – If you have a slow connection per se, it means that virtual private network is not something that will affect you completely. That is the main reason why you should check your internet speed with and without it so that you can determine the difference ratio and what can you do with this particular speed. That way, you can make sure that VPN is not responsible for low-speed problems, but the network you are using. Check Protocol Settings – If you use app or software as virtual private network source, most of them feature advanced settings part, and you should try to enter and choose another internet protocol. We recommend you to go for UDP, which will allow you a faster connection, but it is unstable when compared with other types. On the other hand, you will have a slower but more stable relationship if you choose TCP. In both cases, you will be able to switch between these two as many times as you want. Restart Your Modem/Router – It is simple as it sounds, which means that you should restart your black box that creates an internet within your house. There are ways that your modem can provide you lesser speed than before due to memory leaks, and the best thing that you can do is the old-fashioned restart that will fix it as soon as it revives again. Have in mind that by having VPN connection, your router will connect slower than before, so in case that you added it to your router and you noticed that speed is to slow, we recommend you to break it down and use the virtual private network on your phone or computer only. Change Server Location – In case that you decide to choose a server, which is geographical, distant from your particular location, that could also be the reason for slow Internet speed. It is crucial to connect server that will provide you low latency so that you can increase the overall rate and enjoy in protected and fast network. For instance, if you live in Europe, you can change servers from the USA to Great Britain, and you will notice a difference. Check The Encryption Level – You will be able to change the encryption that you are using, but we do not recommend doing it unless you are using it to enter geo-restricted websites and content. For instance, if you use it for security reasons, you should avoid playing with encryption and protocol, because that will make you vulnerable. Therefore, you should analyze different protocols and determine their differences as well as risks that they possess. Use A Wired Connection – Wi-Fi is excellent because it is a convenient solution, but it is unstable when compared with DSL, especially if you connect various devices to the same network. Since wireless communication, use shared channel so that you can transmit data to numerous phones and computers in your home that will decrease overall speed. Therefore, in case that you have an option, we recommend you to use a wired connection so that you can enjoy in faster connection without any additional problem.